Hi everyone, picking your brains again. When i brought my 88 vert the previous owner told me the electric mirrors did not work, do they work with the ignition on, or do they work with it off ? the mirrors appear to be fixed with no movement ?? any help would be good. key on I'm pretty sure..?? I'd check right now, but pulled the batt. 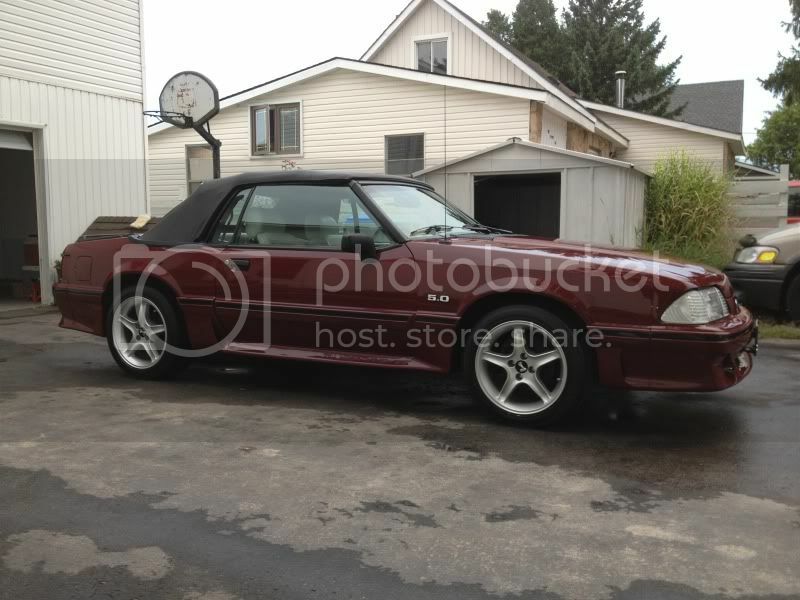 for the winter..
1988 Mustang GT 5.0L Conv. I'll check the window power tomorrow; fwiw, my '89 had non-working mirrors. Just buy some electrical contact cleaner spray and do the switch; cleared up my problem, could easily clear up yours. Many electrical contacts get corroded over 25 years; you'll be using this spray a lot more places too! If both mirrors are dead, it probably is at the switch. My right one got all jammed up & kept blowing the fuse. I disconnected the connector behind the kick panel. I have a new mirror on order (if they ever get them). Just got notification, LateModelResto cancelled the backorder. Last edited by Blown88GT; 01-29-2014 at 07:46 PM.. The mirrors should work without the key as they are hot at all times. If both mirrors are not working, check the fuse. The fuse (#8 light blue 15amp) powers the buzzer, radio, and courtesy lights. If they are working, the fuse is good, obviously. That leaves either the wiring or the switch. Grab a testlight and remove the upper console. Backprobe the switch (use a paperclip if you have to) and check for power as you operate the switch. If there is no power, unplug the switch and check it and the connector for any corrosion. If there is none, check the wiring for any breaks. If the wiring checks out, replace the switch. I have removed the console a couple times in my 93 for a good cleaning and twice forgot to plug that switch back in, so its entirely possible the previous owner did the same with your 88 and never thought to doublecheck it. If just one mirror stops working, it could the switch or the wiring leading to that mirror, or the motor inside the mirror. The connector is inside the door just above the speaker. You can use the testlight on the connector inside the door like you would for the switch. For anyone that keeps blowing fuses, please do NOT substitute a higher amp fuse for a lower rating, not even temporarily. You CAN burn the car to the ground. Find the short and fix that first. A friend torched his entire wiring harness last year because he tried subbing fuses. It overheated and burned.